Who came home and said, "Why did you make a penguin???" Anyhow, the boy had a turkey and cheese stuffed pita with a GHOST made of cheese on top, sugar eyes and a smile from orange cheese. 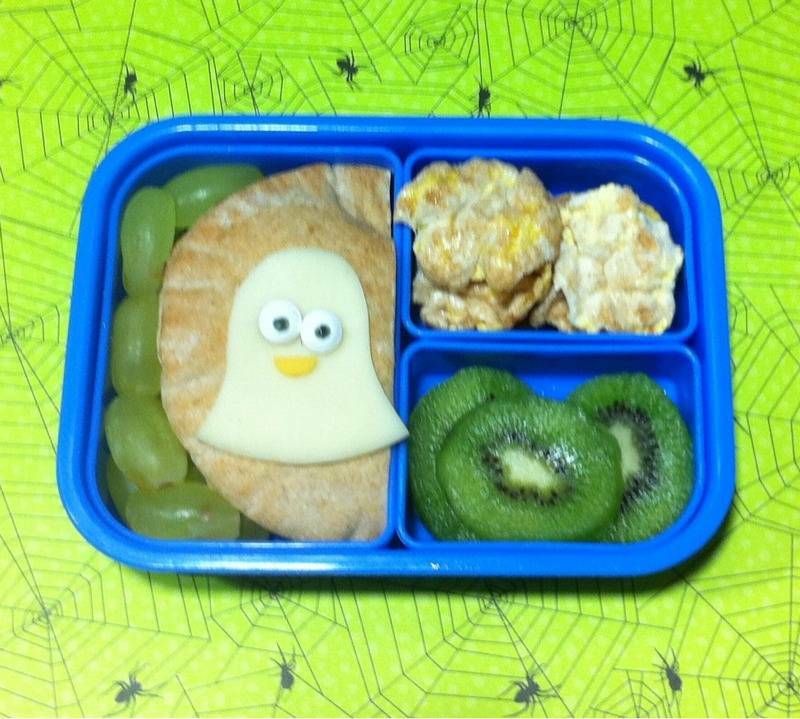 He also had some grapes, some apple cinnamon crisps, and kiwi slices; he's on a kiwi kick right now. And it's a ghost! Really!!!! Very late night ETA: I did not realize how bad this picture was till I saw it on my laptop. It looks nice and clear on my phone! I think it looks like a cute ghost! New house, finally! Congrats, I'm sure you guys will make it a home very soon. Lol. I totally saw a ghost until you mentioned penguin and then it looked like a penguin. I guess it's all a matter of perspective :) It's amazing that you've managed so many great bentos in a hotel!